This week we remember long-time GWIS member, Dr. Elizabeth Weisburger, who passed away last month in Rockville, Maryland at the age of 94. When Elizabeth Kreiser was born in 1924, women had limited career choices. The oldest of ten children, she was born in a Pennsylvania hamlet in Bucks County, PA. Her family moved back to Ono, PA in Lebanon County, where both of her parents were from. Her mother, Amy Elizabeth Snavely, had been a teacher after one semester of schooling, and gave that up once she was married. Her father, Raymond Samuel Kreiser, had a year of teacher training. He later became an insurance agent. While growing up during the depression, Dr. Weisburger was very active in farming activities on their property; she helped with a number of tasks including milking the cow, growing food, taking care of chickens, and watering plants using the house rinse water. The family of twelve survived by living very frugal lives. Dr. Weisburger was home schooled by her mother, who mainly wanted her to become a good homemaker. When Dr. Weisburger went to public school, she was ahead of her peers by the fourth grade. She moved on to high school by the time she was twelve years old. Her Aunt Lottie, an English teacher, said, “You’ll never get to college unless you win a scholarship. Here are the NY State Regents Exams.” Dr. Weisburger studied and won a $100 state scholarship for Lebanon County, and then an additional $50 from Lebanon Valley College. These were significant sums at the time and the scholarships were what enabled her to go to college. Higher education was not the norm for women and was considered a waste of time and money. “You will just get married,” many people told her. Dr. Weisburger knew from the time she was six years old that she wanted to be more than a homemaker. Please consider sharing your own stories of Dr. Weisburger with the GWIS community here. Dr. Weisburger graduated at the age of 20 from Lebanon Valley College with a degree in chemistry and minors in math and physics. She was often the only woman in her classes. From there, she went directly into a doctoral program at University of Cincinnati in Organic Chemistry, and earned her PhD in 1947 when she was 23. She worked at the University for two years before moving to Bethesda, MD for a two-year post-doc program at the National Cancer Institute. When she married John H. Weisburger, they both continued their careers at the National Institutes of Health. Dr. Weisburger had an extraordinary career in chemical toxicology. 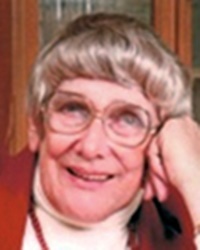 As an officer in the Commissioned Corps of the U.S. Public Health Service, she did extensive work with carcinogenesis at the National Cancer Institute, authored numerous publications, and won several prestigious awards, including the Hildebrand Prize and the Garvan Medal from the American Chemical Society. But Dr. Weisburger was more than just a remarkable scientist; she was also a mentor and a community advocate. Because Dr. Weisburger did not grow up wealthy, she was especially thankful for the scholarships she received that helped change her life. She still had to work hard, and she was willing to do various jobs before she got into her chemistry career. "I believe it is important to help people get an education," she said. To this end, she sponsored scholarships for college students, judged local science fairs, tutored middle school students, and was also involved in promoting chemical safety. Dr. Weisburger died of respiratory failure and pneumonia at the Villages of Rockville, Rockville, Maryland on February 12, 2019. She is survived by three children, William, Diane, and Andrew; four grandchildren and seven great-grandchildren along with six brothers and sisters. She donated her body to the Anatomy Board of Maryland for medical research. A memorial service will be held in her honor on Friday, June 7, 2019 at 3 p.m. in the Chapel at the Villages of Rockville, 9701 Veirs Drive, Rockville, MD. This issue was put together using information from three different sources and copy edited by Rozzy Finn. Copyright © 2019 Graduate Women in Science, All rights reserved.